Home / Power & Light / More about Coleman Fuel: What is Coleman Fuel? You may be wondering what Coleman fuel is? Well, over the years, Coleman fuel has been the choice for many campers. Are you planning on going for an outdoor activity and you still haven’t thought of the fuel to carry along? Well, Coleman fuel should be the fuel to bring with you for your camping or hiking adventure. This is because Coleman fuel will meet almost all your camping needs hence eliminating the need to look for other various types of fuels for individual camping needs. How is Coleman fuel made and why should you choose to use it? Where Can You Use Coleman Fuel? 3. What is the Shell life of Coleman Fuel? 4. How Much Coleman Fuel Do You Need for Your Camping? Coleman fuel is a fuel that is trusted by most people and you should also try it. This is because most people who have used Coleman fuel prefer it to a variety of fuels available in the market. What is Coleman fuel? This question is best answered by explaining how the Coleman fuel is made, how it works and also by knowing the advantages that the Coleman fuel has over other fuels. Coleman fuel is made of coal tar; this is because it has a high content of carbon. Coleman fuel is derived from natural gas or at other times, Coleman fuel may be distilled from oil. Coleman fuel is, therefore, a petroleum product mixed with other chemical products such as pentane, octane, and heptane. Information on what Coleman fuel is will be insufficient without knowing how it is used. It, is, therefore good to know how Coleman fuel works. Coleman fuel is ideal for your small stoves as it has a high energy output. When in use, it does not produce soot and other toxic fumes that other fuels produce. Coleman fuel is the best fuel option for camping. It is suitable for use in lanterns because it burns brightly to produce light at night. However, you should never use Coleman fuel in your camping generator or to fuel your car. This is because it is not designed to be used for these purposes. To avoid risks of any explosion, always ensure that the cans are not leaking at all. If you decide to use Coleman fuel in your excursion, note that you should handle the Coleman fuel cans with care. Keep the fuel cans away from any heat to minimize chances of an explosion. The Coleman fuel cans should also be kept on a cool and dry place. 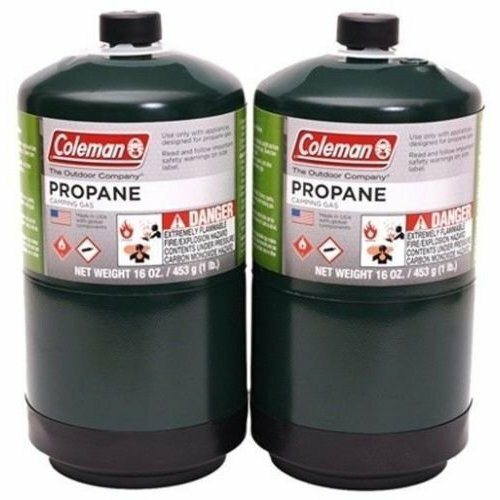 Care on the Coleman fuel cans is for preventing any damages that may occur in case the container is stored near another highly flammable substance. It is also advisable to make sure that you choose the appropriate size of the container that will fit perfectly on your stove. This is to avoid any chances of leakage. Coleman fuel is ideal for your small stoves during your hiking or camping adventure. However, total care should be taken to ensure that the Coleman fuel serves you right and that you definitely enjoy cooking outdoors. It is advisable to use the Coleman fuel on a well-ventilated area. This is because the fuel may produce fumes that could be dangerous when inhaled by human beings. Always ensure that the knob that connects the Coleman fuel cylinder and the stove are tight and secure to prevent any leakages. A burner is one of the most important parts of a stove. This means that you should take good care of the burner to ensure that it remains in its good condition. A properly functioning burner will see to it that you enjoy using your Coleman fuel without any complications. To be sure that the Coleman fuel and the stove are well connected; always check this by confirming that the stove ignites fast and that it is burning at the right temperature. This can be achievable by ensuring that your ignition switch is not broken. Igniting problems can occur, but they can also be corrected. When you are faced with ignition problems, always check the battery or the Coleman fuel cylinder if there is any need for replacement. A safe method to light a stove when using Coleman fuel is to ignite it using a stove igniter. This is because the sparks are isolated on the stove and therefore prevents any fire or explosion that may occur. This way you will also be protected from any burning risks as you use the Coleman fuel stove. Anyone who has used Coleman fuel as a source of energy when camping will agree that Coleman fuel stoves are the best. With a Coleman fuel stove, your camping is made comfortable. Be sure of coming back from your expedition as a happy camper! Here are some advantages of using Coleman fuel stoves. A Coleman fuel stove has a simple design and it is also simple to use. This makes it ideal to be used for your camping and hiking since you will not have complications using it. Its simplicity is from its design; it has no extra parts that will make it bulky. A Coleman fuel stove allows you to move with it for any excursions and trips as it is portable. The parts of a Coleman fuel stove include a burner, internal gas line, a gas connection and a case. It is designed in a simple way and yet it is very convenient. An advantage of having a Coleman fuel stove is that it is efficient. It produces a high amount of energy that can be used for your cooking and keeping you warm even in your tent. When a Coleman fuel is connected to a stove, you can control the temperature of the burner. This is made possible by the presence of the temperature knob; you will be sure to regulate the heat produced to your preferred settings. Unlike other fuel stoves, a Coleman fuel stove produces high energy and works efficiently at low temperatures. A Coleman fuel stove does not lose pressure; this means that it will save time to refill it when it loses pressure. You will only be required to fill the Coleman fuel can fully to ensure it lasts throughout the time you will be outdoors. Are you thinking of buying a Coleman fuel stove for your next excursion? There is good news for you; the Coleman fuel stoves are easily available and come at affordable prices. You can get a common one which is still well maintained or purchase a new one, all the same; Coleman fuel is readily available at an affordable price. Using a Coleman fuel stove relieves you from the stress of disposing of bottles as it is with the propane gas where you have a lot of used bottles to discard. Having a Coleman fuel stove limits the cans you have to dispose of; this also aids to keep the environment clean. Since Coleman fuel is the best camping fuel, you will, therefore, be using a Coleman fuel stoves for cooking. Sometimes your Coleman stove can have some problems. What do you do in such situation? You want to be in a position where you can fix your cooking stove on your own. Good news is that Coleman stoves are simple in design hence fairly easy to design. Here are some common stove repair tips that can come in handy in case your Coleman fuel stove develops some problems. One of the most common Coleman fuel stove problems is usually associated with the fuel tank. These fuel tank issues are usually caused by the failure of the stove to create pressure and failure to hold the created pressure. For you to operate a Coleman liquid fuel stove, you will first have to pump it with pressure. You only stop pumping once you have attained a blue flame. However, sometimes you can pump the tank but the tank ends up leaking down very quickly. This means that there are some problems with the tank. Here is how you can troubleshoot your stove. Put ½ a cup of water in a container and add a teaspoon of dish soap to the water. Using a brush, daub the soap solution on the pump shaft plunger of the stove. Ensure that you press your tank before you do that. Watch carefully for any bubbles. Ensure that the valve at the end of the plunger shaft is closed. After that, apply the soapy mixture on the hole at the plunger shaft end. Turn the tank to your stove upside down and apply the soapy mixture on the underside. Watch carefully for any bubbles. If you notice any bubble, then it means that your stove tank leaks. If the bubbles are around the valve stem, then you will need to replace your stove’s O-ring seals. Coleman fuel can be found on most camping stores. You can also order Coleman fuel from online stores such as Amazon, Walmart, and other online retail shops. However, we would recommend that you buy them from online retail stores because you can get some discounts there. If you have a Coleman fuel that is unopened and you properly store it in a dry area, then it can last up for up to seven years without going bad. However, once you have opened a Coleman fuel container and it gets exposed to air, then its lifespan gets shorter. If you store an opened Coleman fuel container in a dry place, then it can remain viable for up to one year. 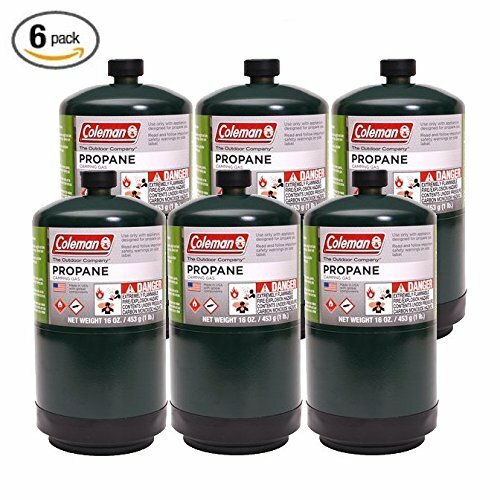 However, if you are using Coleman propane cylinders, then the fuel inside can last for up to seven years without breaking down. As you are planning your next camping trip, you are probably wondering how much Coleman fuel you will need for your trip. It is vital to know how much fuel you are likely to consume so that you carry enough fuel. If you don’t carry enough Coleman fuel, then you are likely to be inconvenienced when you won’t be able to cook anymore. One gallon of Coleman fuel can be used for at most 40 hours when you use a single stove to cook. It can also last around 40 hours when used for lighting in a lantern. Therefore, how long you will last with a gallon of Coleman’s fuel will be determined by how often you will be cooking. If you are boiling water for drinking or washing water, then expect to use up a gallon much quickly. You can, therefore, estimate how much fuel you will need based on the number of people you are bringing along for camping. What is Coleman fuel? All campers are familiar with what Coleman fuel is. However, if you ask a newbie camper, what Coleman fuel is then they might not be able to know what it is. 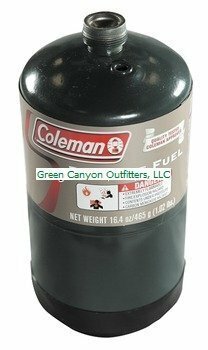 Coleman fuel is a special type of camping fuel that is manufactured by Coleman Company. It is used in lanterns for lighting and stoves for cooking by campers. So now you know what Coleman fuel is and how it is made. The next time you go on a camping trip, you know what type of fuel you can choose to use. Do you have any question about Coleman fuel? You can ask us in the comment section below. Los of words, little real information. What is Coleman fuel? It’s made from oil! Gosh! Sure. It’s made from oil. However, in this article, we provide further pieces of information to the audience. Thank for visiting this blog.